The Barbados Tourism Authority and the Consulate General of Barbados in partnership with Harbourfront Centre, are pleased to bring back one of the hottest summer festivals in Toronto – Barbados on the Water! Barbados on the Water is Canada's largest and most authentic celebration of the stunning island nation and the unique beauty of Barbadian culture. The festival will feature tasty cuisine, steel pan drumming workshops, literary events, exciting dance performances and children’s activities such as storytelling, costume making and face-painting. Coaches interested in bringing volleyball, basketball, soccer or track-and-field groups to Barbados, will find the sports seminar very informative! New this year is an Iron Chef competition, where an award-winning Barbadian chef will compete against one of Toronto’s finest celebrity chefs! Guests will also be able to enjoy rum and beer tastings in the Tropical Relaxation Zone. A hilariously engaging theatrical production will leave audiences gasping for breath while the soulful sounds of jazz will thrill music lovers. 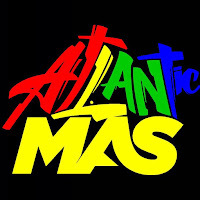 Legendary Soca Monarchs will have the crowd dancing to the sweet, sweet sounds of calypso. There is something for everyone during the weekend festival, so come on down and enjoy a taste of Barbados! All the events are free admission unless otherwise indicated.